While it's important for us to take care of ourselves year round, it's especially important during the holiday season. 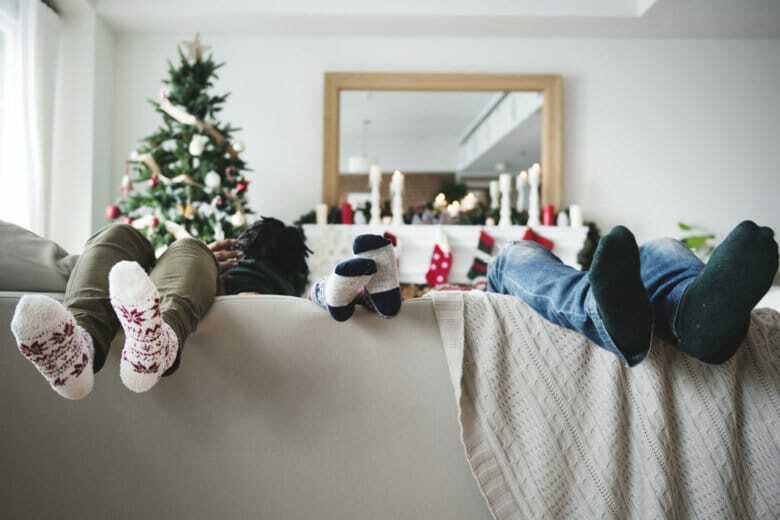 Here are some reminders from a therapist to make the holiday season a bit more relaxing. She responded emphatically: “Nope! Just the gifts.” I wonder where I, as a mother who espouses social work values, went wrong. Later that day, at my work in Montefiore’s primary care practice, a hospital discharge summary for one of our patients came across my desk. It involved an elderly man who was recently admitted for unexplained diarrhea and loss of appetite. The likely catalyst for his symptoms was discovered toward the end of his admission and not through testing or lab work. Rather, through candid conversation: depression. He misses his wife of many years, who is now deceased. He particularly misses her around the holidays. This anecdote — and many more — embodies the experience of our holidays: childhood joy, consumerism, financial pressure, juggling holiday plans and parties, navigating family strife, remembering loved ones who are no longer here and an excess of rich food and drink. For others, it’s the absence of all this while having to bear witness to it with little ability to avoid it. To imagine that we can go through this without being stressed is unrealistic. In my work in a primary care practice, this often translates into a surge of visits, often for long-standing medical problems that suddenly feel unmanageable. 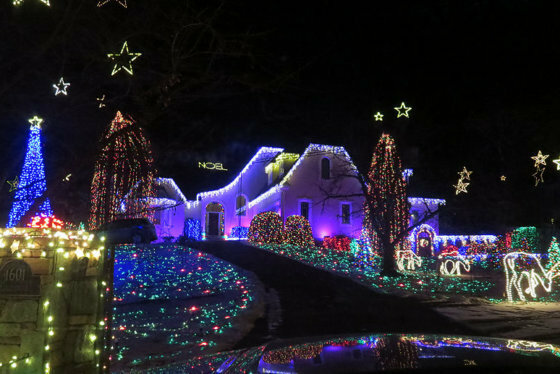 For over a decade, Holly Zell has served as something of a curator for Christmas light displays around Fairfax County. Here are some of her favorites this year. Breathe. It’s amazing what taking a few grounding breaths can do for us, especially when done consistently throughout the day and not only in times of crisis. It’s akin to pressing the reset button for our bodies physiologically, and it can be done anywhere without anyone knowing. There are many ways to do a breathing exercise, but the non-negotiable, key components are: Be completely present with your breath almost as though you’re breathing for the first time, and practice releasing the tension out of your body as you fully exhale. Pace yourself. In times of high output, we tend to place additional pressure on ourselves to have everything completed immediately. Emotionally, it makes sense. In theory, getting tasks done seems like a good way to relieve anxiety. In practice, it’s impossible and tends to heighten our pressure. We can only do so much at once. Planning when to accomplish tasks can be helpful in interrupting that self-imposed pressure. Indulge, in moderation. We all enjoy giving in to life’s pleasures. However, doing so for an entire holiday season can increase anxiety rather than relieve it. Choose the times and places when you will give yourself this gift. It can help you feel good about your ability to have self-control and enhance your enjoyment of the indulgent moments. To me, from me, with love. Insert small acts of self-care into your routine and fully reap the reward by being as present as possible. Doing this regularly over an extended period of time is shown to reduce stress levels. An effective way to incorporate self-care into your daily life is to make regular tasks, such as enjoying a cup of tea or taking a relaxing shower, more meaningful by focusing on them as acts of self-care. This focus will heighten your senses to create a soothing experience. Remember the true essence of the holidays. Time is the greatest gift we can give someone. In a fast-paced society that relies heavily on social media, we don’t always make time to connect with people in an intimate, human way. Yet spending time with your loved ones — rather than money — is fulfilling beyond the moment and creates lifelong memories. If you’re remembering loved ones who are no longer here, you might do something to honor their memory. Just be sure to surround yourself with support as needed. Most of these tips are grounded in the concept of mindfulness, which is the act of focusing our awareness on the present moment while simultaneously accepting our thoughts and feelings. This practice can go a long way toward calming stress, which I hope is what these tips offer you. And from my heart to yours, have a joyful holiday season.